1. 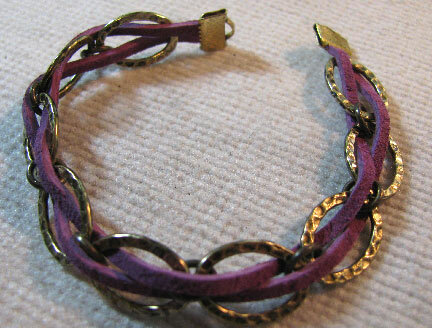 You'll need 2 lengths of leather cord (mine are 8"), 2 small ribbon clasps, some oval links (the number depends upon the size), some jump rings, a small length of chain, and a lobster claw clasp. Line up and clamp one end of each cord in one of the ribbon clasps as shown above. 2. 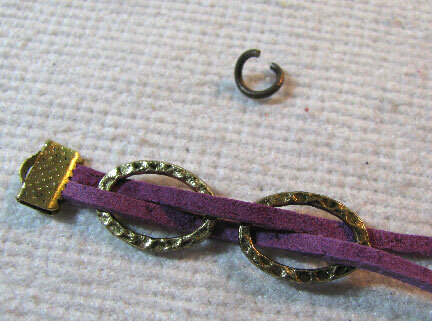 Weave the leather cord in and out of the oval links, making sure they are alternating directions with each other. Open some jump rings that are large enough to encompass the thickness of two links. 3. Use jump rings to secure the oval links. 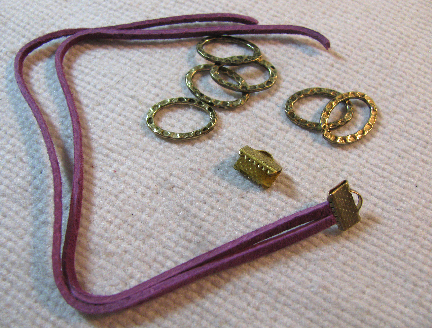 When the bracelet is long enough, snip the ends of the cords even and attach the other ribbon clasp. 4. 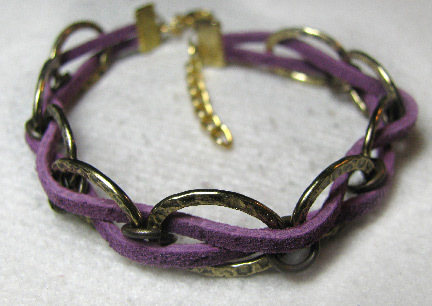 I attached a small length of open link chain to one ribbon clasp, and a lobster claw clasp to the other. And just now I noticed that I need to fix that one jump ring just to the left of center...it doesn't quite meet cleanly! Oops! We love when you get bored! This is adorable! Will show to my grand daughter!! Thanks!! !